What is All-In Protection? | All-In Protection Definition - Casino Answers! Some online poker sites offer ‘all-in protection’ to players that get disconnected during a game. If that happens, you are considered to be “all-in” to the amount you have put in the pot up to the point you got disconnected, regardless of how many chips you have in front of you. To prevent abuse, disconnect “all-ins” are limited, and some sites don’t offer them at all. Some players will intentionally disconnect to avoid paying for their hand if it looks as though its a loss against a player who has their chip count covered, this allows the players who are actually playing to still get paid even though their opponent has left the game. Some sites actually have a limit to the amount of times you can be “disconnected” which, somewhat, limits the amount of times people can use this terrible method of playing. Some Poker sites allow players to be disconnected up to 3 times a day. If your internet is disconnecting that often than maybe its time to find a new internet provider. In my opinion if you need to try and cheat to win than why are you playing the game in the first place? It surely isn’t worth the risk of getting caught and losing your entire bankroll over one hand of poker that you are going to lose. It’s always best to take a loss if it happens, that’s just the way life is. And after taking your losses it makes your win feel that much more rewarding. If you feel the need to cheat to try and win then you should probably look for a new hobby. But for players who genuinely disconnect during a hand this is a way for the disconnected player to still have their hand in play. With internet connections being much more reliable this rule may not be around forever but there was a time when most of the world was using a Dial-up connection for their internet. But as we all know that sometimes things happen and even with a strong internet connection for one reason or another you will lose your connection. Imagine having an incredible hand only to be disconnected before the hand is finished. At least this way you still have a chance at taking the hand despite not being connected. If you get disconnected without all-in protection, then your cards are folded no matter what you are holding or how much you have in the pot. 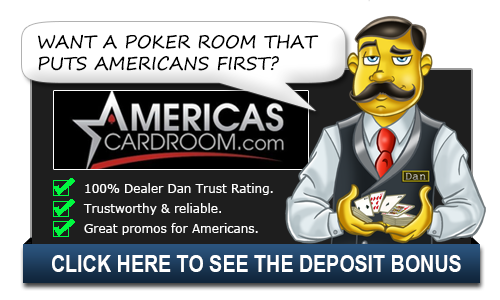 Some sites that offer ‘all-in protection’ are PKR Poker, Ultimate Bet and Pokerstars. Should I play at tables that offer All-In Protection? This option may not be for everyone but for some players it is nice having that assurance that if they lose their connection while playing with a strong hand than they are still in. But for some players they don’t want to play at a table where this is available at all as they find it unfair. It’s best to know if the table you are playing at has All-In Protection as it my influence your decision to play at the table or not.